Life’s Journey shares an array of stories through an extensive range of artist books on loan from individuals and major Queensland collections including Artspace Mackay, grahame galleries + editions centre for the artist’s book and the Australian Library of Art, State Library of Queensland. A Redland Art Gallery exhibition presented in partnership with Artspace Mackay. 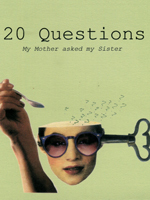 Image: Sheree Kinlyside, 20 questions my mother asked my sister (what’s in a mother’s mind?) (detail) 2010, Reg Rag Press, 2010. Limited edition of 25 copies, inkjet printer and pigment ink on Indian handmade rag paper; covers on Magnani paper; Japanese stab binding. Australian Library of Art, State Library of Queensland Collection. Courtesy of the artist and the State Library of Queensland.